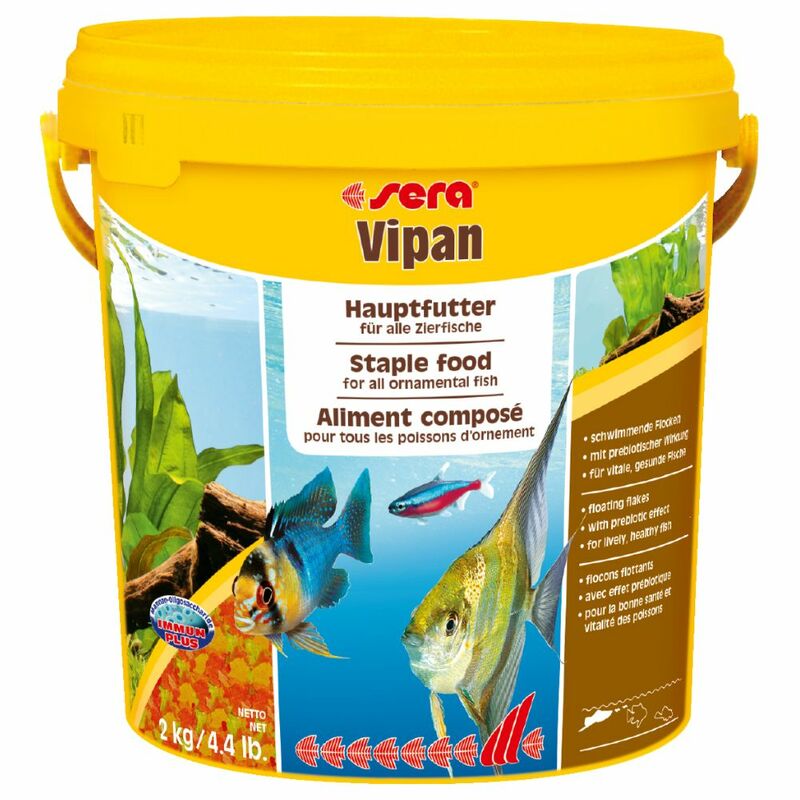 Sera Vipan is the ideal staple food in aquariums with different fish. It contributes in the development of the fish and the valuable ingredients help promote to their overall health. With careful proceΒing, valuable ingredients such as omega fatty acids, vitamins are minerals are retained and help promote growth and a healthy circulatory system. Rich in Mannan Oligosaccharides (MOS), a prebiotic component of yeast cell walls, the food also helps strengthen your fish's immune system. The sera manufacturing proceΒ allows for flakes to keep their shape, resulting in unpolluted water and reduced algae growth. Due to the unique very fine grinding, the flake is easily digestible for fish, especially those who feed from the water surface. Sera Vipan at a glance: Complete food for all ornamental fish Ideal ingredient composition: with vitamins, omega fatty acids and minerals Enriched with spirulina Promotes growth Improved feeding efficiency Flakes retain their shape in the water Reduced algae growth Reduced risk of infection Flakes retain their shape and consistency for a long time Carefully produced flake food from Germany. Price just £74.99! Click here to buy now!